During this weekend’s Extra Life Charity event, ArenaNet raised more than 40,000 dollars thanks to the Guild Wars 2 community. On top of that, ArenaNet provided a matching donation of 25,000, and the money directly benefits the Children’s Miracle Network alongside Seattle Children’s Hospital, Riley Children’s Hospital in Indiana, and Doembecher Children’s HOspital in Oregon. During this event, the official in-house ArenaNet jug band, The Soggy Joko Brothers released a new video. It’s entitled “Fer Naw This Evenin”, and is an original video based on the popular Guild Wars 2 anthem “Fear Not This Night”. 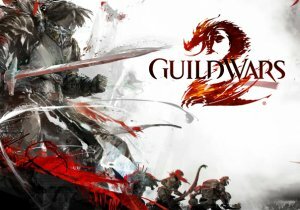 Over 50 ArenaNet staff members took part in the marathon stream during which the team released never before seen Guild Wars 2 concept art, and previewed two new Player vs. Player maps. Who doesn't like to jump into a giant robot strapped with missiles, lasers, and other ballistic weaponry to make other robots explode? Star Trek Online will celebrate its 7th anniversary with the launch of Season 12 - Reckoning.